Composite photocatalysts composed of semiconductor and magnetic matters are of great concern due to their excellent catalytic and recyclable performances. In this work, hydrothermal synthesis technique was employed to prepare magnetic Fe3O4/SnO2 nanocomposites (FS1, FS2, and FS3) of different molar ratios. The nanocomposites material was characterized by powder X-ray diffraction (XRD), high resolution scanning electron microscopy (HRSEM), energy-dispersive X-ray spectroscopy (EDS) and UV–vis diffuse reflectance spectroscopy (UV–vis DRS), Vibrating sample magnetometer (VSM) analysis. The SnO2 optical absorption was extended into visible region after coupling with Fe3O4. The magnetic features of Fe3O4/SnO2 nanocomposites offer simply separable method for reusability of the material in photocatalytic application. The catalytic activity of as prepared magnetically separable nanocomposites was inspected based on photodegradation of crystal violet as model organic pollutant. The extent of variation of field-dependent photo and dark current of the samples were determined from photoconductivity studies. 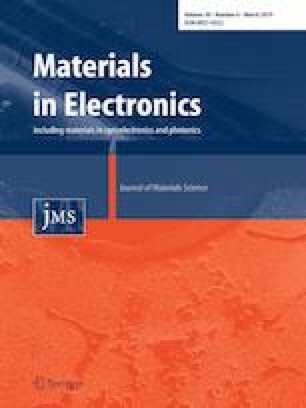 The photoconductivity studies revealed the ohmic nature of the samples with a linear increase in both dark and photocurrent with a corresponding increase with increase in the applied field. The nanocomposite FS1 depicted good photocatalytic activity due to enlarged photoresponsive range and increase in charge separation rate. From the results, we suggest an attractive physical property and an efficient and a recyclable nanocomposite catalyst active under UV light irradiation for use in wastewater treatment to control water pollution. The authors are thankful to SAIF, IIT-Madras, Chennai for samples characterization.